so if you are going out tomorrow just a reminder the People's Arts Festival at the Russell Industrial Center will not take place tomorrow and till be rescheduled to Next Sunday, September 21st. The Russell Center for Creative Arts regretfully announces that forecasts of severe thunderstorms throughout the day Saturday have forced postponement of the People's Art Festival until Sunday, September 21st. The possibility of harm to artists' works and discomfort to festival attendees was too great to take a risk, considering the forecasts. Please mark your calendars for Sunday, September 21st as the new date for the second annual People's Art Festival at the Russell Industrial Center. 1600 Clay Avenue, Detroit, Michigan. I-75 Exit 54 - Clay Avenue/Grand Boulevard. East on Clay to the entrance of the Russell Industrial Center/Russell Bazaar. Hours 11:00 am to Midnight. www.ricdetroit.org. Now as you all know this week the Owner of the "The Bohemian National Home" [Which is on 3009 Tillman, about a block north off of Michigan Ave.] announced that they will not be hosting any more show and it would be closing after this month. and we received more to the story it basic say that the original owner of the building repossessed from owner Joel Peterson and going to change into a get ready to this "a nightclub/event center" and the original owner have rename the building The BO House. in the post Windy blame The owner of riping off Peterson and trying to profit off the new tax break for movie coming into Michigan bringing there stars in to town. meanwhile the Original owner have set up a new myspace page under the page The BO HOUSE and clam on there Front page "THE BO-HOUSE rebirth is going to bring something new and needed to the Detroit Music and Culture snece"
place at the CAID A.K.A. Contemporary Art Institute of Detroit on 5141 Rosa Parks, just North of Warren just west off Wayne state. i'll be polite, but informative. joel peterson has been running the Bohemian National Home out of a building on tillman for a number of years now. he has brought amazing musicians to town, and hosted shows no one else would dare touch. he's had experimental music fests, folk fests, psychedelic music nights, movie nights, and most importantly, the improvised jazz fests. joel is doing all this in a community with very little money. we all know detroit is tired and worn out. we know the suburbs are tired, too, and it gets harder each month to get people into the city as times get tougher.....it's easier to stay home and watch tv. we ALL know, we ALL do it. make the choice to stay home. but i would bet each one of us still gets a starbucks coffee or taco bell at least once a week......and that $5 could be used to see a show that joel is putting on!! yeah, why am i ranting like this? why am i raking you over the coals? because the bohemian national home as we know it is no more. the building is being repossessed by it's original owner, and being turned into a "nightclub / event center". we've all heard about the tax breaks michigan is giving to hollywood movie companies as a way to drawn them into the state to film. well, THE BO HOUSE, as the "new"owners are calling it, is not The Bohemian National Home. and the bo house has set up a new myspace page where they are trying to claim a "rebirth" of the facility with new managment, and trying to get all kinds of detroit bands and peeps to sign up as their friends and book events there. in short, someone else is trying to PROFIT from the years of hard work and extreme love joel put into that building. the thousands of hours of plaster work and paint and wood repair. the patience and dilligence of setting up shows and seeing each one of them through to the end, even if only 5 people came to be in the audience. so, joel is keeping the name THE BOHEMIAN NATIONAL HOME. and we are asking you to support him in any way you can. please visit his myspace page and send him words of encouragement, and find out when and where all of the upcoming, rescheduled shows are happening. and tell every band you know that there IS a difference btwn joel's bohemian national home and the imposters who are trying to pull in the movie star crowd ........support joel and his endevours. there are not so many people in detroit who care as much as he does, who work as hard as he does. thanks. and here is a current list of the shows that have been rescheduled at the CAID. thanks caid for stepping up when we all need you!! some other shows may be at the mocad, the ufo factory, and maybe even a small one or two here at stormy. we are a community who can pull through this - be strong with us!! make a difference. All the Description is from the Detroit Free Press. 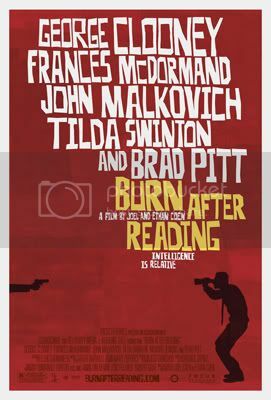 A disc containing the memoirs of a CIA agent ends up in the hands of two unscrupulous gym employees who attempt to sell it. The latest from the Coen brothers stars Brad Pitt and George Clooney. 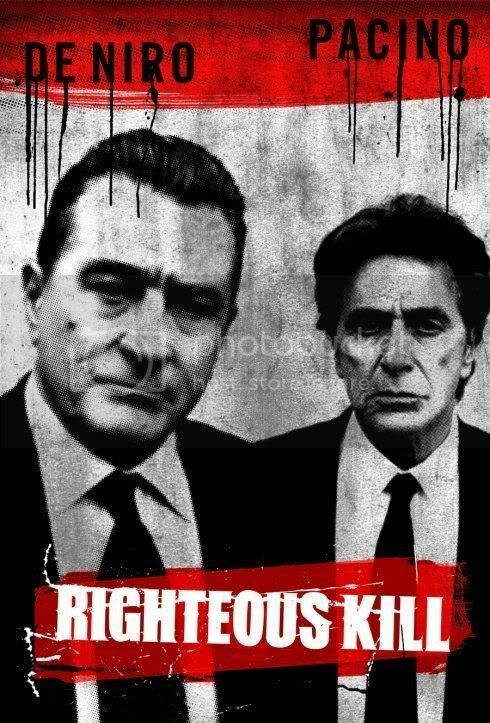 Two veteran New York City detectives (Robert De Niro and Al Pacino) work to identify the possible connection between a recent murder and a case they believe they solved years ago. A wealthy New Yorker leaves her cheating husband and bonds with other society women at a resort. 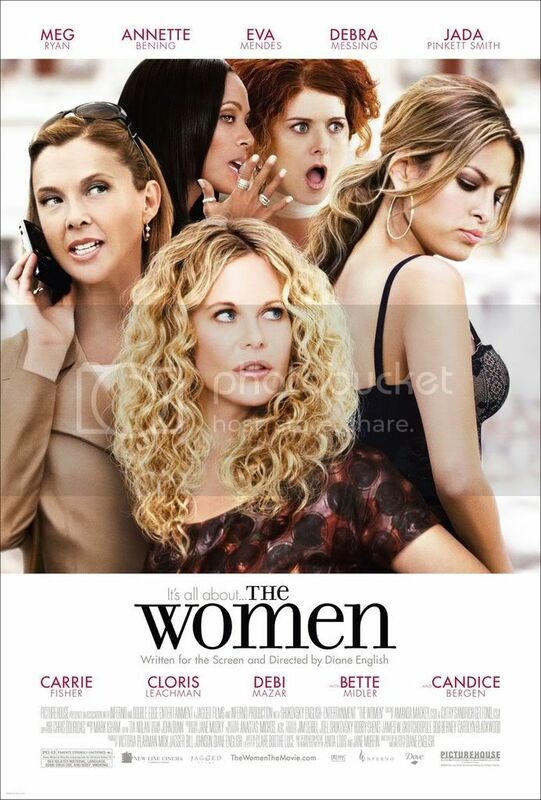 The remake of George Cukor's 1939 film "The Women" stars Meg Ryan and Annette Bening. The lives of two old friends become mired in their children's extramarital affairs and unethical business practices, while a paternity secret threatens to derail family fortunes. After being dead for seven minutes, a man is miraculously revived to discover that he now has the annoying ability to see ghosts. A hunchbacked lab assistant has big dreams of becoming a mad scientist and winning first place at the annual Evil Science Fair. Samuel L. Jackson is a tightly-wound LAPD officer who terrorizes the young interracial couple that moves into the house next door. Kate Hudson stars as a dream girl who poses a dilemma for a lovestruck ex and his buddy, the master "rebound specialist." Some of you already know, but for reasons we can't disclose, The Bohemian National Home is closed at 3009 Tillman. Although this is an unfortunate situation, we are undeterred in presenting the finest and most unusual musical offerings in town. For now, Andy Krieger's art show this Friday will be the last event at 3009 Tillman. Until things get settled, shows will continue at Detroit's finer venues that have offered their assistance. We're starting with Odu Afrobeat Orchestra and Mega Faun (of N. Carolina) at the CAID (5141 Rosa Parks, just North of Warren) this Saturday, Sept 13th. Doors are at 9 pm and the cover is $5. One of the most original groups in Afrobeat, Odu has a special affinity for CAID, the site of one of the most memorable dance parties in the band's recent history. As ever, Ade Boye remains one of the few voices in Afrobeat that can escape the shadow of Fela Kuti- especially because he played with the undisputed progenitor of the sound. Mega Faun play music that is experimental enough to catch the eye of iconic label Table of the Elements/Radium, but song-oriented enough that they appeal to people interested in psyche-folk and acoustic music. They also have a member who was insightful enough to release Nick Schillace's recent solo CD on the Burly Time label. Tomorrow we will be announcing the location of next week's Henry Grimes/Faruq Z Bey show as well as the Cooper Moore show the following week. We'd love to see you all come and support The Bohemian in these trying times- make as many shows as you can! but antoher post of the same board report that the owner of the building have joined up with a partner and will make some improvement to the Bo House like renovated The Building and not only that secured the parking lot. Nobody know what going on so if you have some insider info on the Futher of the Bo House please fire off a E-Mail on my blog sight, the E-mail is on the Right of the Menu. According to the Hamtramck Citizen Newspaper, Police arrest John McMiddleton Late Friday Night/Early Saturday Morning after a police Stake out he was arrest with out incdent on the Corner of Carpenter and Jos. Campau. just on the Detroit/Hamtramck Border. He is suspect in about Four Armed robbery outside the Belmont Bar in the Downtown Bossiness Distcet that have been happening for the last Months, they have mostly taget woman who been alone going to the belmont, they have all been rob with a Shot-Off shot gun. When HPD Search the Van he was rideing in they found the Gun wrapped under a towel. He Been charged with four counts of armed robbery and being a habitual criminal in the fourth degree. If convicted, McMiddleton faces a mandatory sentence of life in prison. His preliminary examination is Sept. 18 at Hamtramck 31st District Court. The Show will begin at 9 P.M.
14. lp session 1 - verve "forth"
23. lp session 2 - the automatic "this is a fix"
25. the zutons - what's your problem?